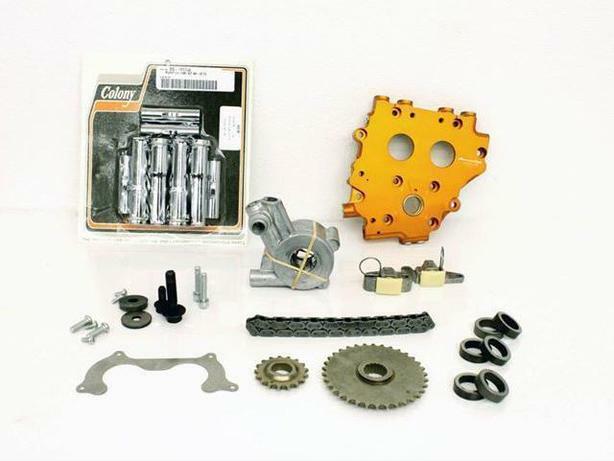 This kit modifies Twin Cam 88 chain tensioner to the re- designed one used on the Twin Cam 96? engine. JUST REPLACING THE TENSIONER PADS DOESN'T FIX THE PROBLEM. The kit includes an improved Screaming' Eagle® HIGH OIL FLOW OIL PUMP that provides increased oil pressure at high-operating temperature.